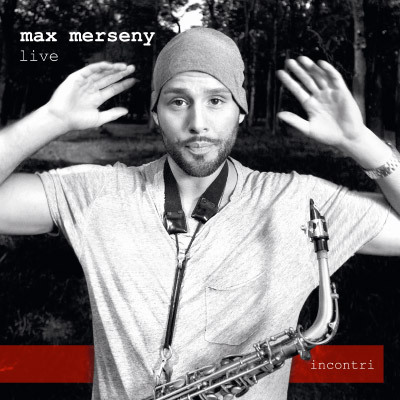 After a very successful year 2012 with his debut-CD “Thank Y’All” we are now looking forward to another “thank you” and pre-Christmas present which comes as a live-EP called “Incontri” like the name of the jazz club this recording took place in June 2012. It was one of those unpredictable brilliant moments when the music catches the audience with its full energy, energy that is now about to get transported to your home to bridge the waiting time for Merseny’s next full length album coming in October 2013. Besides his regular line up with the marvellous guitarist Ferdinand Kirner (who is with German top ten singers Max Herre and Jan Delay), the Hammond specialist Matthias Bublath and DJ/Rap legend Roger Rekless there are two more outstanding musicians from Berlin taking part in that wonderful recording: Felix Lehrmann, drums and the bass player Thomas Stieger. Finally Marcus Miller’s saxophone player Alex Han who became friends with Max during his residence in New York City completes the line up of that extraordinary VINYL-EP.